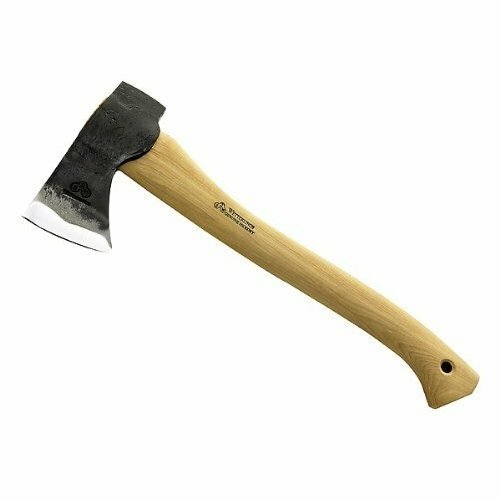 S.A. Wetterlings Axes - Small Hunters Axe: Model SAW-16H. 15" overall. 6" axe head with 3 1/4" cutting edge. American hickory handle with lanyard hole. Weighs 1.5 pounds. Leather blade cover with belt loop included. Made in Sweden.